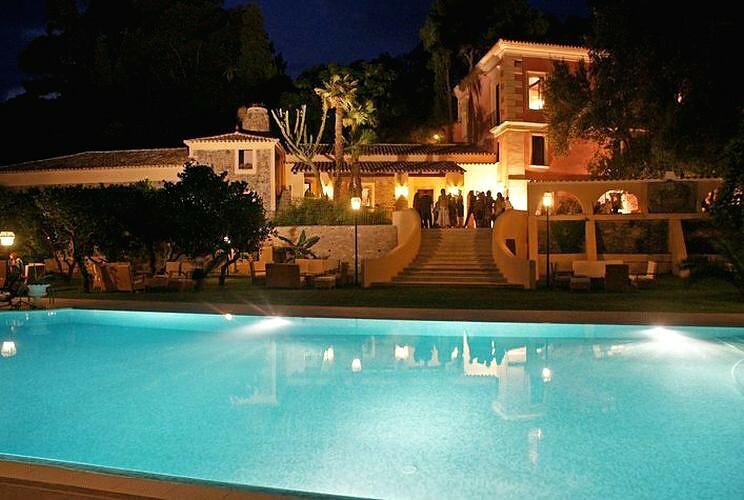 Villa Ventura is a wonderful villa for events in a green area. This historic home is located at the end of an attractive avenue enclosed by stone walls and adorned with palm trees, flowering oleanders and pine trees; the large park also extends to the roof garden at the rear of the building. Villa Ventura was built on the remains of a fifteenth-century building, former home of the Principles Aquinas. The spacious rooms furnished with family furniture, the beautiful outdoor spaces with beautiful swimming pool set in the garden make this place magical backdrop for elegant and stylish meeting. The phone number of Villa Ventura is +39 3333889856 or 335428926.